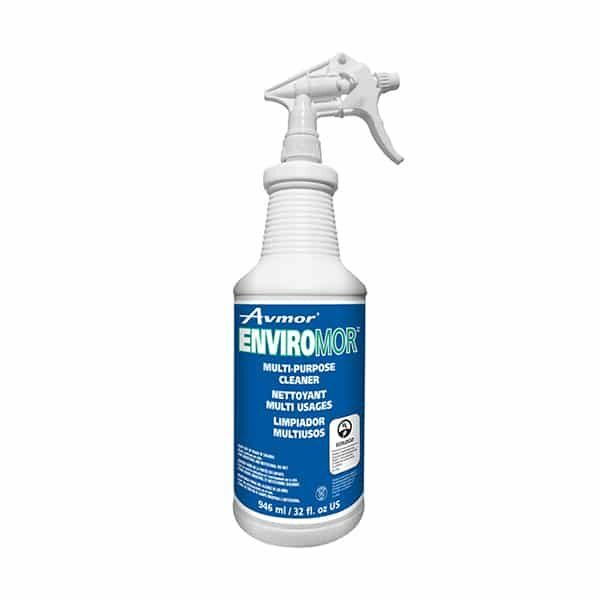 ENVIROMOR Multi-Purpose Cleaner is a safety acidic product that is biodegradable*, non-fuming and non-corrosive on mild steel and skin. ENVIROMOR will clean and revitalize washable surfaces including plastic, laminated, copper, steel, ceramic, tile, porcelain, painted surfaces, brass and grout. It does not pit, streak or blacken metals. ENVIROMOR will not harm your skin and you will not need to protect yourselves from hazardous fumes. It can be used in a variety of facilities including food processing plants, restaurants, commercial buildings, restrooms, manufacturing plants, sports and recreational areas, as well as educational institutions. 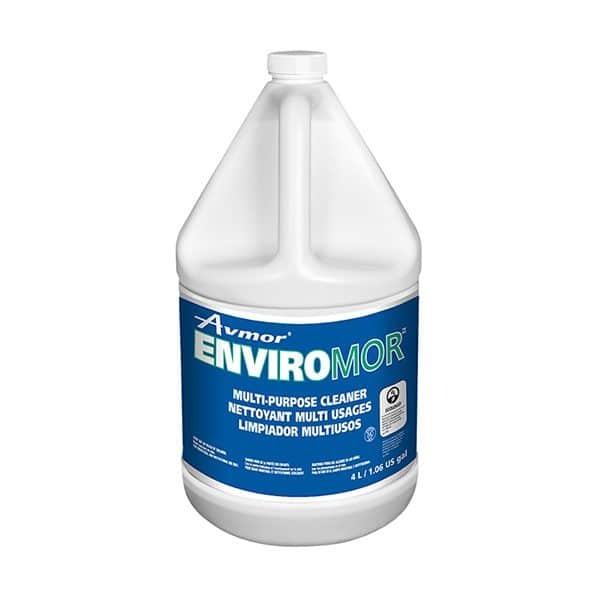 ENVIROMOR effectively removes surface rust, heavy rust, tarnish, calcium, lime, soap scum, mold and mildew, grease, beer stone, milk stone, scuff marks and other heavy soils. Safe for most metal surfaces. Prior to use, test in an inconspicuous area. depending on the application, the surface and the severity of the soil. Pretest the effect of the product on a hidden area of the surface being cleaned. Apply product onto the surface. Let stand for a few minutes or longer if necessary. Wipe with cloth, sponge or swab and rinse thoroughly with water. HEAVY USAGE: Mix 1 part cleaner to 10 parts water. MEDIUM USAGE: Mix 1 part cleaner to 20 parts water. LIGHT USAGE: Mix 1 part cleaner to 40 parts water. * SURFACTANTS IN THIS PRODUCT ARE READILY BIODEGRADABLE IN ACCORDANCE WITH OECD 301 STANDARD. Follow all Federal, Provincial and Local Regulations regarding waste disposal.